Create your own Epson AcuLaser C1100 color toner pack / bundle with our flexible quantity discount pricing. Mix and match products so you are only purchasing what you need, but also maximizing your savings. Remanufactured Cyan Toner Cartridge with 4,000 high capacity page yield. Equivalent to Epson part number: S050189. Fits the following model(s): Epson C1100. Remanufactured Magenta Toner Cartridge with 4,000 high capacity page yield. Equivalent to Epson part number: S050188. Fits the following model(s): Epson C1100. Remanufactured Yellow Toner Cartridge with 4,000 high capacity page yield. Equivalent to Epson part number: S050187. Fits the following model(s): Epson C1100. Remanufactured Black Toner Cartridge with 4,000 high capacity page yield. Equivalent to Epson part number: S050190. Fits the following model(s): Epson C1100. Buy our high quality compatible toner for Epson AcuLaser C1100 with confidence. Join thousands of happy customers who have found our compatible products are equivalent in page yield and print quality. For our compatible products, we offer a 100% Satisfaction Guarantee allowing you to return products within 6 months if you are unsatisfied. Working from home can be tricky without the proper equipment. 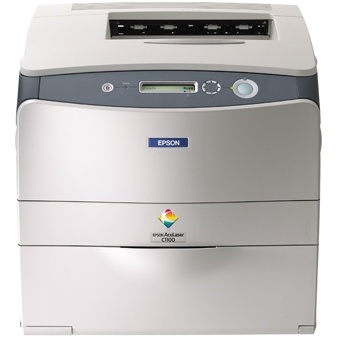 The Epson Aculaser C1100 is a color laser printer with the capacity to handle the printing needs of a home or small office. There are four toners and a large drum, meaning maintenance could get expensive. However, affordable options are out there, which will be explained in this article. There are four Epson C1100 toner cartridges inside of this machine. These are filled with cyan, magenta, yellow and black printer toner. The Aculaser C1100 toner cartridges can yield up to 4,000 pages, which will suffice for low-volume work environments but will fall short for large tasks. However, replacements are available from third party vendors. 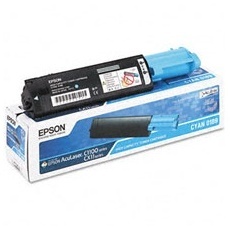 The remanufactured Epson C1100 toner costs only a fraction of the price of the OEM toners, but they still maintain the same quality and capacity. When using exclusively black Aculaser C1100 toner, as many as 25 pages can be printed per minute. Using the color printer toner, up to 18 pages per minute can be produced. Not only will these speeds provide efficiency, but the 9 second first-page out time will enable users to get the ball rolling on big tasks. This unit is connected via an ethernet card, as well as USB and parallel ports. It is compatible with most major operating systems, and it has many optional upgrades available. There is a 500-sheet paper tray that can be added as well as an optional duplexer, which allows double-sided printing. For small offices, the wireless option will certainly need to be added so multiple computers can connect to the C1100. The high-quality Epson C1100 toner and Resolution Improvement Technology, or RIT, creates a maximum resolution of 2400 dpi. This will certainly produce professional text documents and realistic graphics and photos. 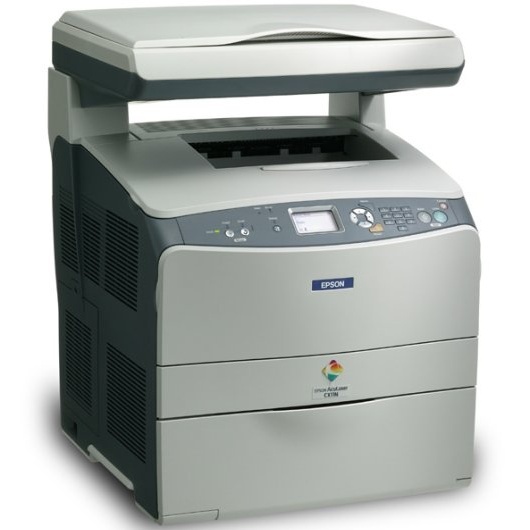 Overall, this is an affordable, reliable laser printer that will work wonders for its users.